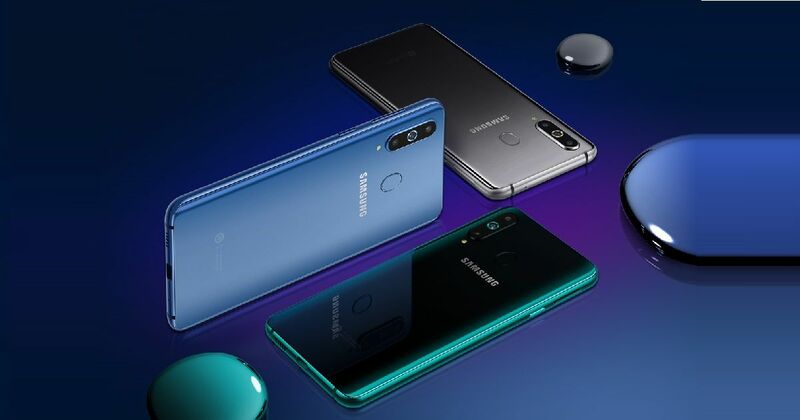 Earlier this month, Samsung unveiled the Galaxy A8s in China as the world’s first smartphone to flaunt a hole in the screen for the selfie camera. At the unveiling, the South Korean tech giant did not reveal the pricing of the phone. However now, the Chinese e-commerce portal JD.com has started taking pre-orders for the handset in the country and revealed the Galaxy A8s price. JD.com is currently taking pre-orders for the Samsung Galaxy A8s’ base variant that comes with 6GB of RAM and 128GB of storage. This option is being offered by the e-tailer for RMB 2,999 (~Rs 30,500). The phone is available to pre-book in three colour variants – Elf Blue, Aurora Black, and Allen Silver. The shipments of the smartphone will kick off from December 31st in China. As of now, there’s no word regarding the 8GB RAM and 128GB storage variant of the phone. To recap, the Samsung Galaxy A8s sports the brand’s latest Infinity O display screen, which accommodates the selfie shooter within the screen. This allows the phone to offer an edge-to-edge screen with a high screen-to-body ratio as compared to its predecessor. The back panel of the smartphone houses an oval-shaped fingerprint sensor in the top-middle, right above the brand’s logo. As far as the other specifications go, the Samsung Galaxy A8s features a 6.39-inch full HD+ display, and boots Android Pie out of the box. Powering the smartphone is a Qualcomm Snapdragon 710 SoC, aided by 6GB/ 8GB of RAM. In terms of imaging, the phone gets a 24-megapixel primary camera at the rear, aided by 5-megapixel telephoto lens and 10-megapixel wide-angle sensor. For selfies, there’s a 25-megapixel camera in the hole on the front. In terms of connectivity, the Samsung Galaxy A8s offers 4G LTE, dual-SIM slots, Wi-Fi, Bluetooth, and GPS with GLONASS. The handset is equipped with a dedicated button to kick off the brand’s Bixby AI assistant. A 3,400mAh battery completes the list of the specifications.